When Jackie O became the First Lady of Fashion in the '60s, she influenced millions of women with her style. The simple shifts, pillbox hats, elegant scarves worn over her hair, oversized sunglasses, and pea-coats inspired all generations of women to take note. 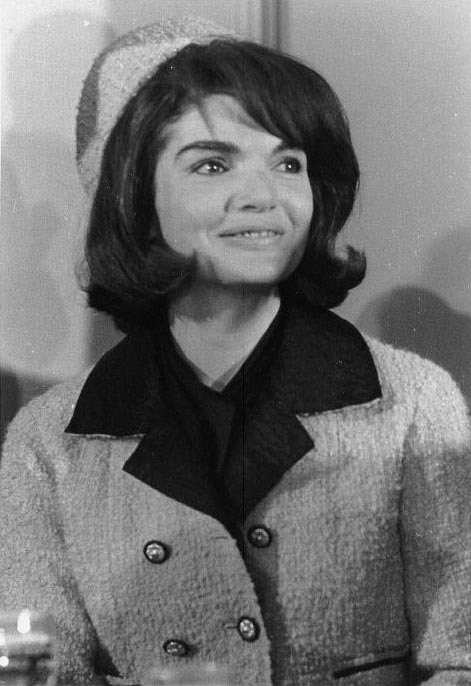 Women everywhere still sport the "Jackie O" look today. The Kennedy: Vintage 14K Gold Lapis Diamond Ring found in the Sceptre & Sash showroom. Enter your email address to receive occasional news, updates and invites from us. We offer a Lifetime Authenticity Guarantee. All items shown are pre-owned and/or vintage. Sceptre & Sash is not an authorized retailer or affiliated with brands pictured. © 2018 Sceptre & Sash / All Rights Reserved. / License #00000780.